I am a huge fan of Pacific East. In fact, I am a little shocked that I haven’t written about it sooner. 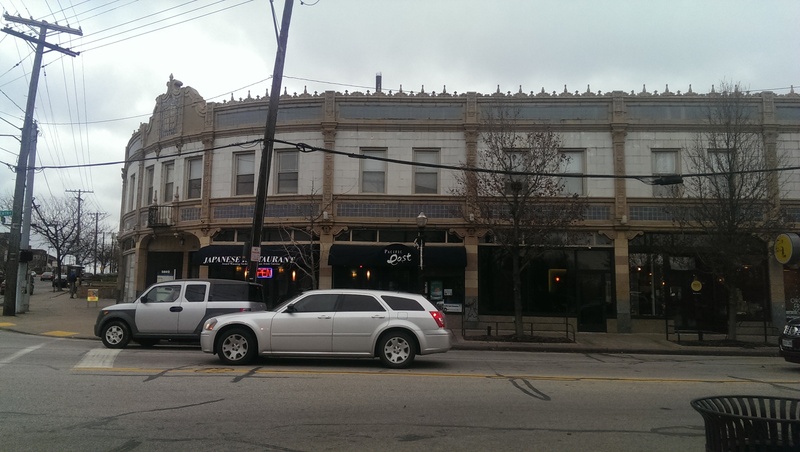 I have been to all of the present and past locations (Coventry, Eton shopping center on Chagrin Boulevard, and the short-lived place in Solon), but I have to say that my favorite one is the restaurant on Coventry at the corner of Mayfield and Coventry. The Coventry restaurant also offers both Japanese and Malaysian cuisine, while the Eton location just serves Japanese. In fact, the Coventry location is one of the main reasons I chose to live where I live – so that I am within walking distance. One Friday night several years ago I walked in a snow storm to Inn on Coventry only to find them not open for dinner despite what their website claimed, so I walked down to Pacific East instead. I will never forget that night. I was bundled up and peacefully walked down Coventry, had a great meal, and walked back home with the snow collecting in my hair. It was a perfect, relaxing and simple evening. The dining area is bright and cheerful (a sea theme with blue walls with fish/sea shell decor on the walls) with austere black chairs and tightly packed tables. If you are lucky, the waitress will greet you with a complementary glass of green tea. If not, be sure to ask for it. There is plenty of seating available, as they have expanded on both sides. There is a tiny bar area with a few tables to the right as you walk in, and the most recent addition is seating in the back left in the old bank space next door. P acific East is known for its sushi – and rightfully so. The sushi is some of the best in Cleveland if you ask me. In all the times I have come here I have never had bad fish. 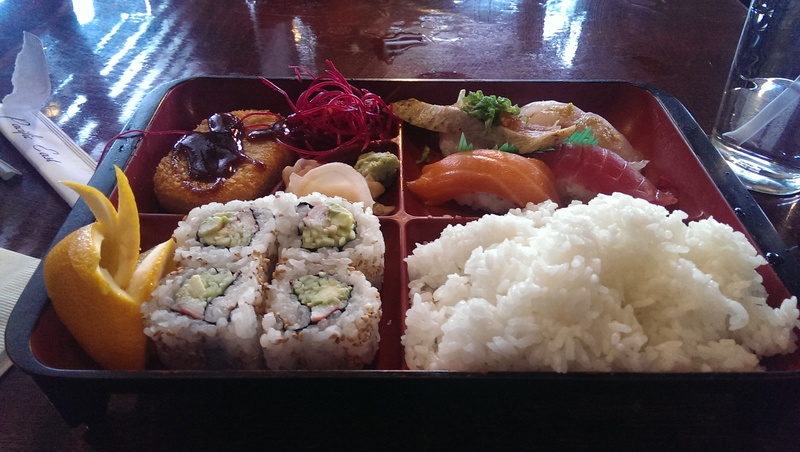 The rice and fish are always fresh, and the rolls melt in your mouth. They are also always rolled tightly and don’t fall apart when you try to eat them. 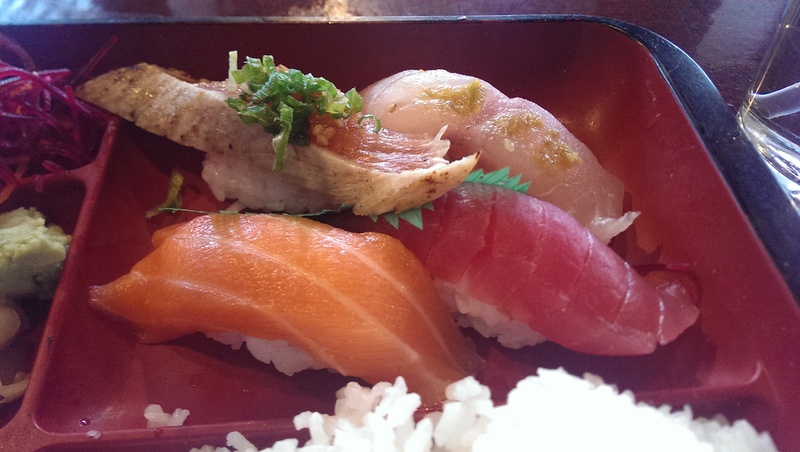 The fish slices on the Nigiri are quite generous. 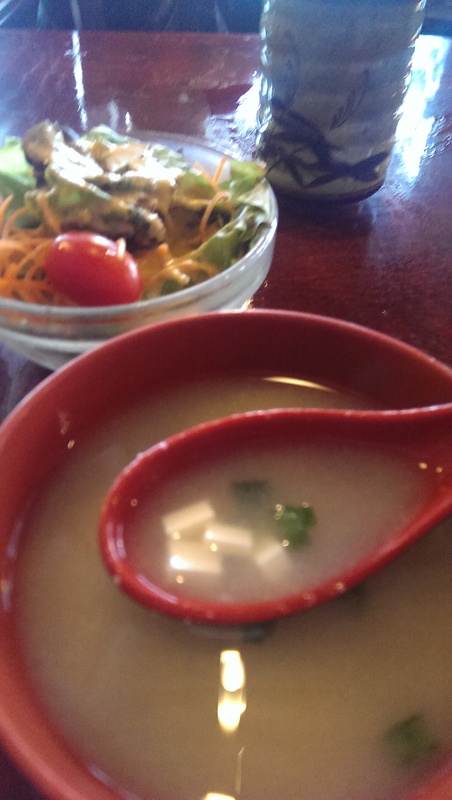 The fish always extends beyond the rice. The sashimi is so fresh it literally melts in your mouth. 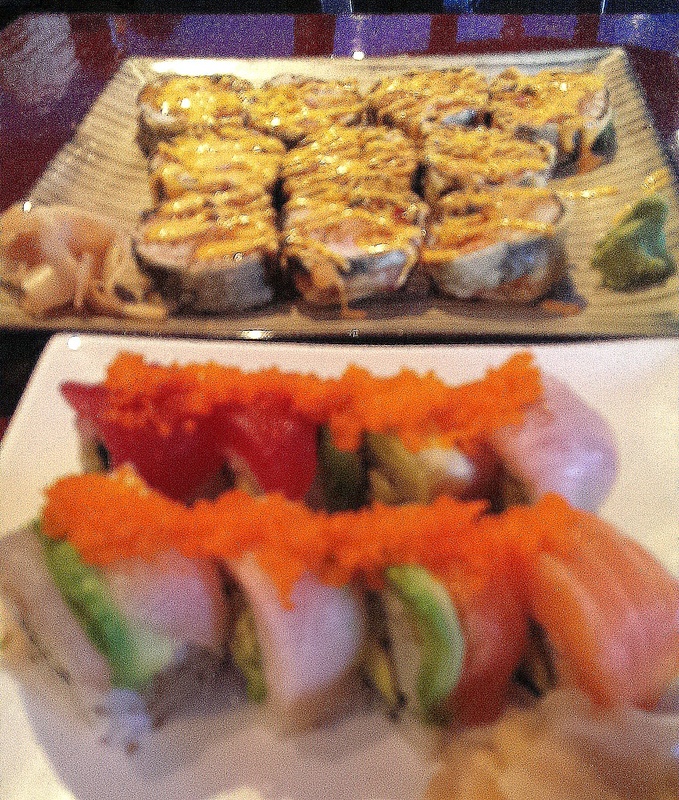 Some of my favorite rolls include the Spicy Tuna Roll, the Rainbow Roll (kani, cucumber, avocado, topped with assorted fish & fish roe), the Spider Roll (soft shell crab tempura, cucumber, avocado, fish roe & eel sauce), the Alaska Roll (fresh salmon, avocado, cucumber, fish roe), the X-Mas Roll (tuna, avocado, fish roe), the Green Dragon (eel, cucumber, topped with avocado, fish roe, sesame seed and eel sauce), the Volcano Roll (California roll with baked scallops and smelt roe), and the Lobster Tempura Roll (lobster tempura w/ avocado, cucumber, fish roe, & eel sauce). 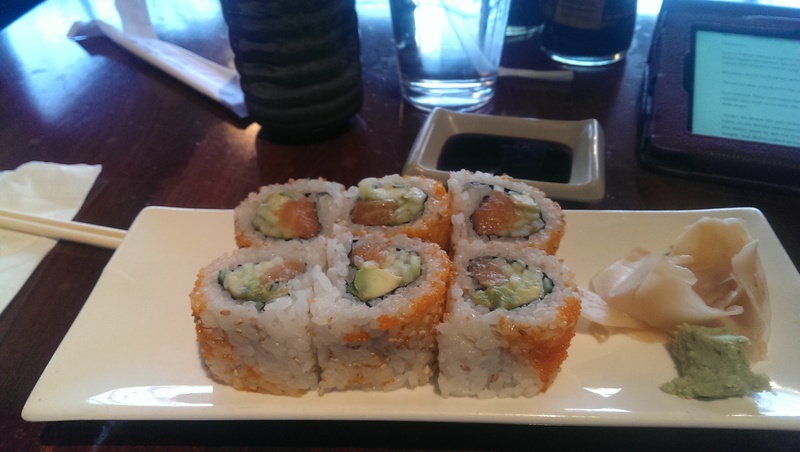 I was less impressed with the Land & Sea Roll, but that is because – even though I love them as Surf & Turf – I just don’t like steak and lobster together as a sushi roll. If you do, you will probably love it. 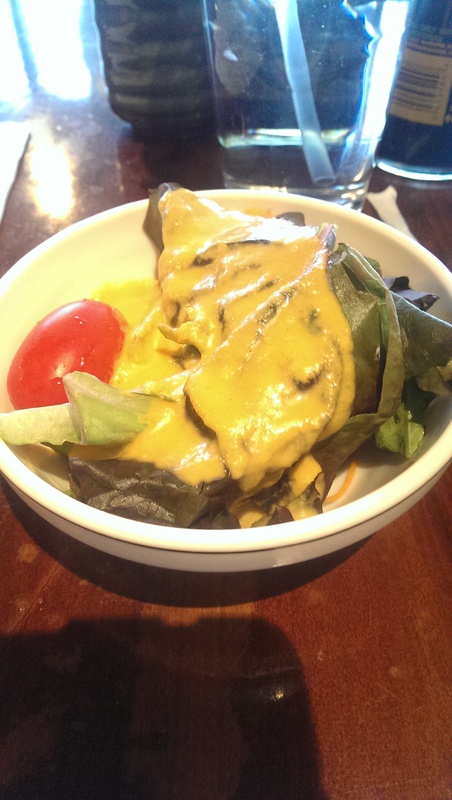 The house-made ginger dressing on the salad is worth noting all on its own. The menu says it is made with 15 fruits and vegetables. It is creamy, delicious and plentiful. One of the best I have had. The salad features fresh lettuce, a cucumber slice, a cherry tomato and some carrot shavings. It is a nice balance to the rice and fish. However, Pacific East is also known for its Malaysian cuisine. I have been on a noodle soup kick recently and fell in love with their Malaysian noodle soup called Laksa. 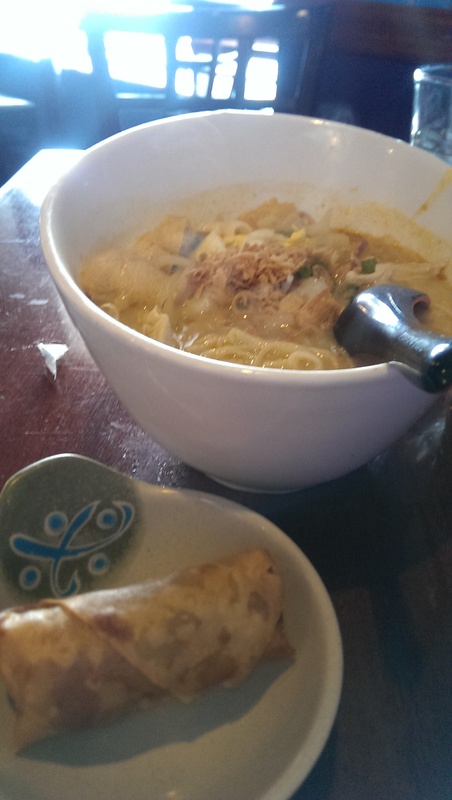 Traditionally made with rice noodles, shrimp, chicken, tofu and curry, the soup is filling and delightfully spicy. Pacific East’s version is loaded with shrimp, chicken, tofu, peppers, onions, rice noodles, and hard-boiled egg. 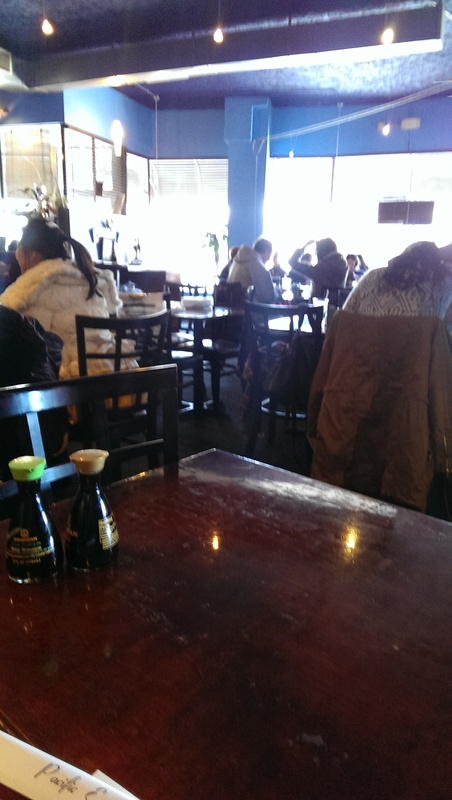 If you order it during their lunch hours you get an spring roll with it for just $8.95. I have had both the regular spring roll and the Penang spring roll served with it. I wasn’t a fan of the Penang spring roll, because it had a soft curried potato filling that I wasn’t expecting. I think if I had been expecting a curried potato filling I would have liked it more. Both spring rolls were well-fried and crispy on the outside with soft filling on the inside. I tried their Tonkatsu Ramen after eating a bowl of Laksa and found it to be pretty bland and lifeless in comparison. It doesn’t help that I had the most amazing Tonkatsu ramen at The Slurping Turtle in Chicago a few months ago. 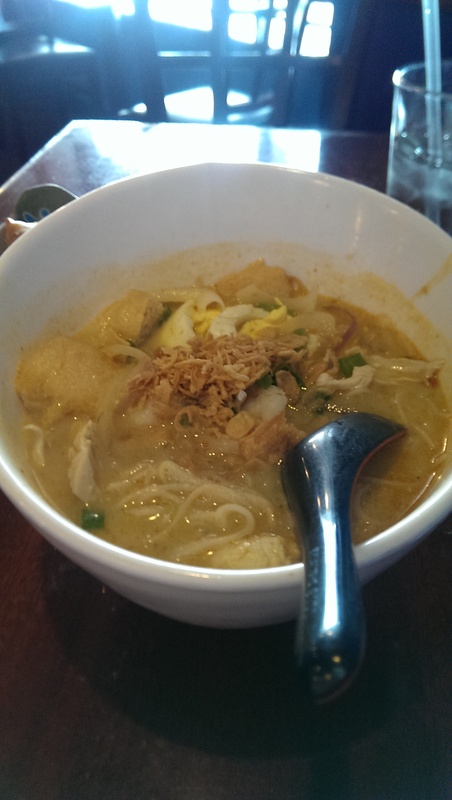 There was no way anything could compare to it – although the Laksa comes close. Maybe it was just an off day for the chef, but the broth was boring, the noodles were just a wee bit overcooked, and the pork was non-existent save for 3 or 4 slices. 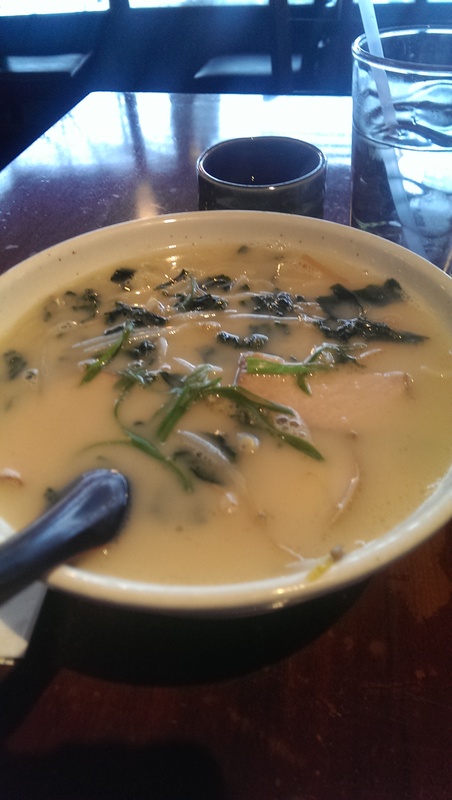 The seaweed was the ramen’s saving grace. In any event, I don’t recommend the ramen here. I prefer Flying Crane’s ramen. Business is so good there are often waits in the evening. Hopefully the new expansions will alleviate some of that. Seating is available at the sushi bar as well.